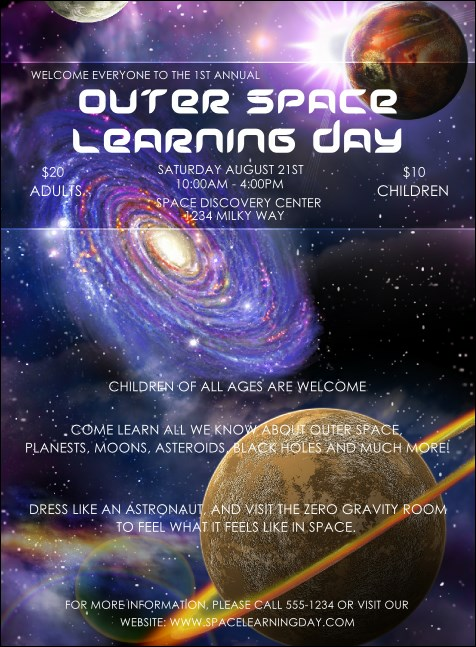 Invite astronomers, professors, kids and stargazers with this vivid Outer Space Invitation. A blue, purple and gold galaxy draws the focus on this template, with event details listed above and below. Pair with tickets, flyers and posters for out of this world promotions in a Matching Event Kit. RSVP to all corners of the world with TicketPrinting.com.